The local reggae fans were pleased to see their own ‘Missile Sound’ with the legendary Skippa J who grew up in Nacton return for a Reggae event in the heart of their community. 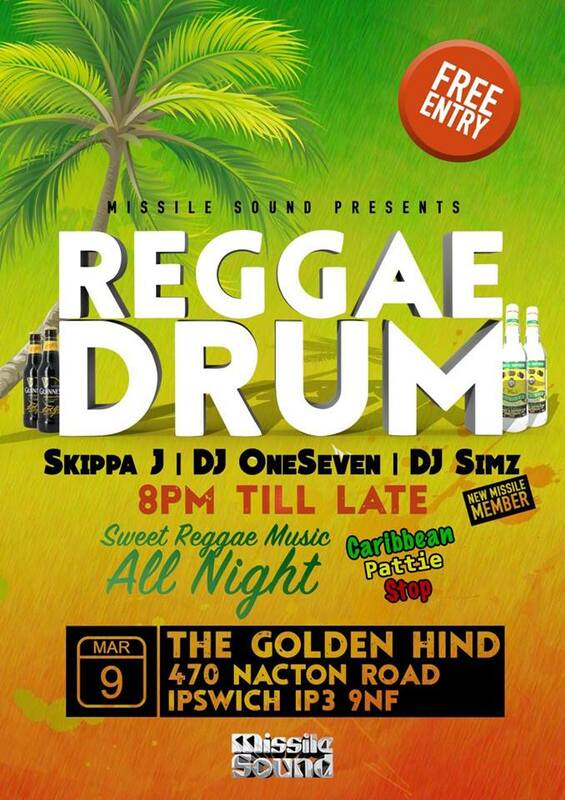 Missile also showcases their new young talented deejay Dj One Seven who had the venue bubbling alongside Skippa j who gave the fans what they wanted… Sweet reggae music featuring some of the missile’s exclusive dubplate. Skanking Missile Co-founder said it was a very good night, was nice to see our community come out to support this event and we look forward to putting on more events in Nacton.